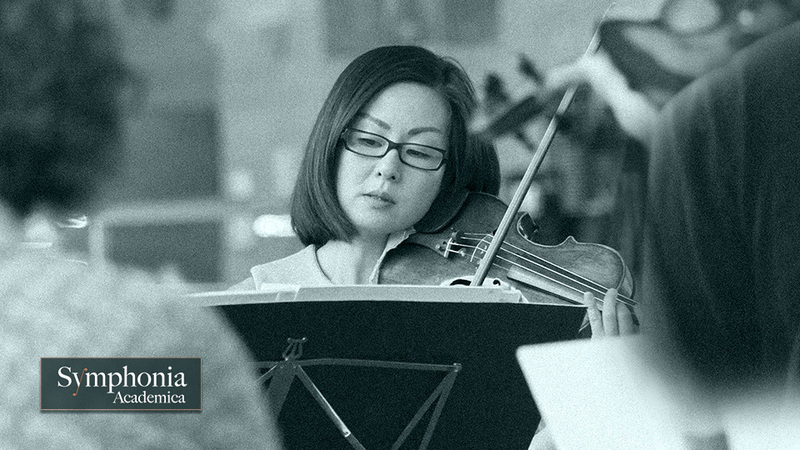 Symphonia Academica launches new website in response to continued growth into the East of England Arts community. As Symphonia Academica develops its presence across the East of England, we're delighted to have launched our brand new website to showcase our string ensemble's performances and events. Symphonia Academica launches a new website to spearhead its growth from its roots in Education into the East's thriving Arts and Academic sectors. Following hot on the heels of a blossoming partnership with Anglia Ruskin University, the new responsive website has been designed to introduce the versatile string ensemble to Arts promoters and creative programmers across the East of England. The ever-beating principle of education may be found at the heart of each and every performance. Peter Bussereau, Artistic Director of Symphonia Academica, brings-together a flexibly-sized ensemble of professional players from many of Britain's leading symphony orchestras and chamber groups to share a commonly-held love of music with audiences. The ensemble's aim is to engage with audiences in a relaxed and informative style, drawing them into the music by taking the time to explain the subtleties of and background to the carefully chosen works. This new website forms key part of that audience engagement thanks to its ability to share details of and notes for forthcoming and past performances. The previous website was built using a free website building template and that was good enough to help the ensemble find its feet online. However, the push into the public Arts and Academic spaces in the East of England meant that Symphonia Academica needed to adopt a more responsible position for its online communication and education. This website designed and built by Sub@omic of Harpenden, Hertfordshire, is fully responsive. Not only does the website adapt its layout to mobile, tablet and desktop display screens but, additionally, the website makes best use of the latest standards-compliant HTML5 in order to be as accessible as possible for people with all abilities. We chose to work invest in a Sub@omic website because of the consultancy's reputation and cognitive web design portfolio. We knew our brief would be exacting and precise as our playing style and so we were delighted to work with a business that enjoys being creatively challenged. In making this website as cognitive as possible, Peter concludes, Sub@omic have developed some brand new features for us and we hope you enjoy using the website. For us, the website is an evolving component of our communication so if there's any information that you feel is missing from the website the do please get in touch with us directly.